The NEC SV8500 is an advanced communications server unifying enterprise communications to the government and corporate sectors. 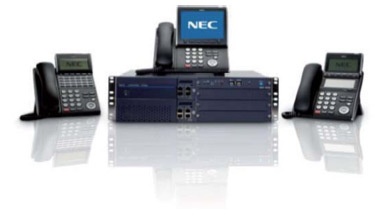 The NEC SV8500 is a powerful enterprise communications solution capable of supporting up to 4,000 endpoints in a single system. Reliable, scalable and energy-efficient, it is an advanced application server that supports voice, unified communications and mobility solutions for tens of thousands of users. Designed to easily and efficiently scale, the SV8500 meets the needs of the largest enterprises, supporting up to 192,000 ports in a networked environment. We at Custom House Global Fund Services Ltd decided to use Core Communications shortly after they entered into the market. The decision quickly became beneficial to us globally as their technical expertise and superior knowledge in the communications arena has enabled Custom House to add extra features to our global communications network. Currently Core Communications support all our global sites and have maintained them without affecting the local sites infrastructure which is a testament to their professionalism and customer support.